So far, 2012 has been a banner year for condo sales at Ocean’s Edge in SouthJacksonville Beach. The property has racked up 15 sales so far this year, whichrepresents an impressive 48% share of the total beaches condo sales market,and that includes Atlantic, Neptune, Jacksonville and Ponte Vedra Beaches. Complete Release after the break. 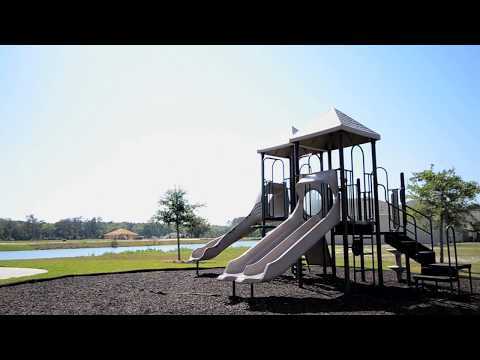 Homes by Deltona is a division of the Deltona Corporation. They’ve been building in Florida since 1962, creating more than a dozen communities for more than 200,000 new homeowners. Their mantra is “Florida Living,” and it shows in their new Barton Creek model, located in the Isles of the World community in St. Johns County. Release after the break. The St. John's Town Center area in Southside is growing again this, time is a new Luxury Residential Rental Community to be called 5000 Town. The project is well under way and is slated to be completed in November. The Complex will feature 130 luxury apartment units and will be located adjacent to the Season's 52 right on Big Island Drive. Contemporary, Modern or Traditional Home? In Real Estate, That Depends. “Contemporary” is a state of mind. “Modern” all depends on which decade you happened to be in, or perhaps which decade you were born in. Traditional means “elegant” to some of us, or just plain “old and decaying,” depending on your outlook on houses, and perhaps your outlook on life, Dr. Freud would say. If you had real money in the 80s, you lived in a 4000 square foot angular split level, with real wood siding. That was contemporary. We stop by Valencia to view the San Marco and Cordova Models at their Luxury New Condo Development in Jacksonville Beach. Valencia is located just South of Jacksonville Beach just north of Ponte Vedra Beach. The Condo's offer Luxuious two and three bedroom floorplans ranging from 1,350 to 1,868 sq ft. Standard features such as 10' High Ceilings with trey accents, Gourmet Eat in Kitchens with Full Stainless Appliance and Plantation shutters create an elangant atmosphere perfect for entertaining friends and enjoying life. Nothing worse than a bad agent. And this guy: he's bad. Really bad. And now from the “What in the world was he thinking,” department here at Bloom Realty: as the King of Pop spins wildly out of control in his hallowed Hollywood grave, we mourn even more deeply for the late Michael Jackson. Standard Pacific Homes at North Creek and Williams Sonoma host a special event to showcase the stunning kitchens offered in their new homes. Culinary Experts were on hand to reveal valuable culinary tips for making meals more memorable. We were on hand to learn how to make delicious gazpacho and sauteed shrimp. Then topping it off with a delicious Lemon curd with Fresh Blackberry sauce. Guests also had the opportunity to tour the model home and see what Standard Pacific has to offer. More pics of the event and model home after the break. When the Oracle of Omaha speaks, people listen. Uber-billionaire Warren Buffet doesn't toss around financial advice willy-nilly, so naturally, when he mentioned the notion of not waiting until you retire (when housing prices will have risen) to buy a home, he made some news, chiefly because (surprise) it makes sense. "I know it was a tough task to sell that home of mine, but Alan stuck with it and his strategy worked. I would highly recommend Alan to act on your behalf.